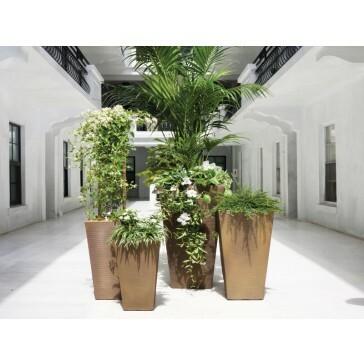 The Bowery is a beautiful addition to any commercial or residential landscape. 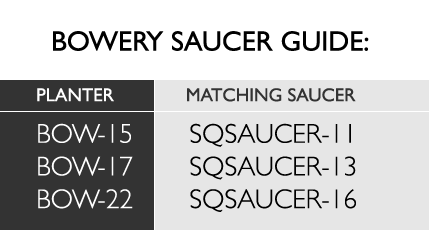 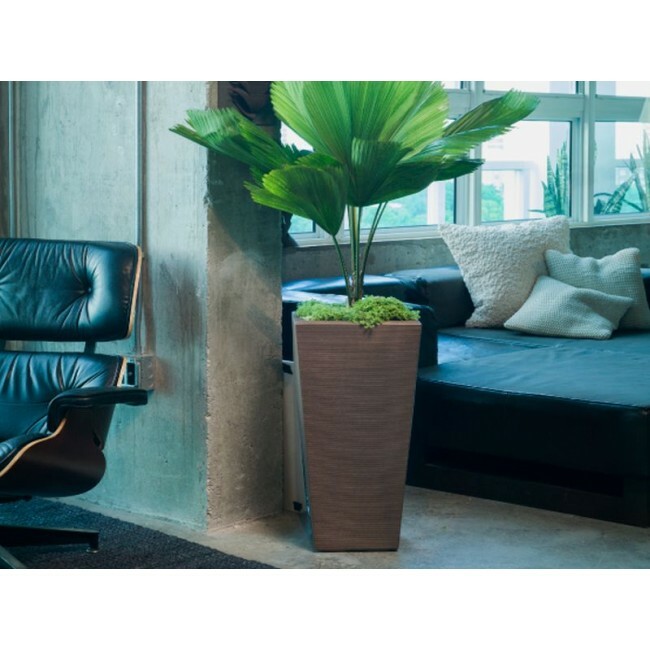 Its intricate ribbed texture has the appearance of handmade pottery. 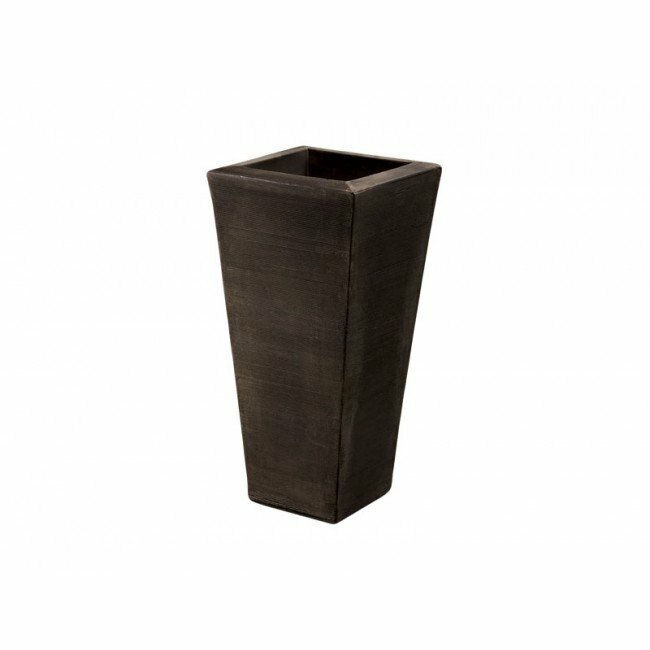 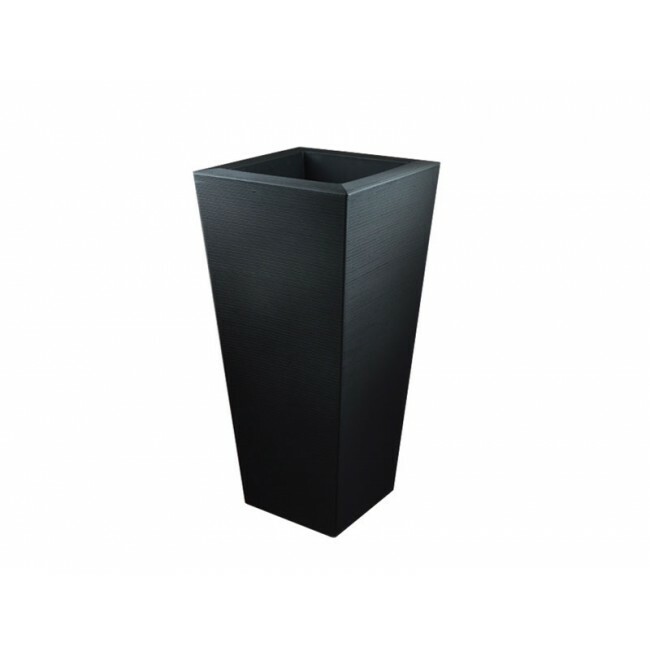 This tall planter is made of an extremely durable, yet lightweight plastic using a process called rotational molding. 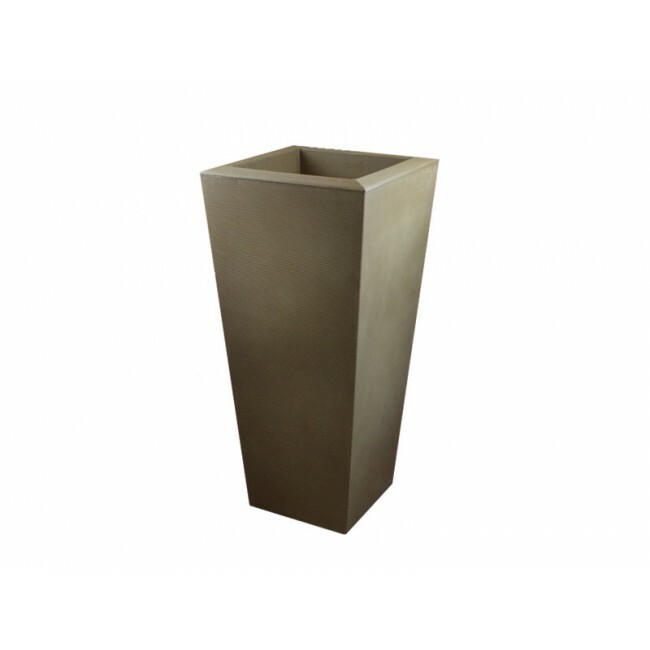 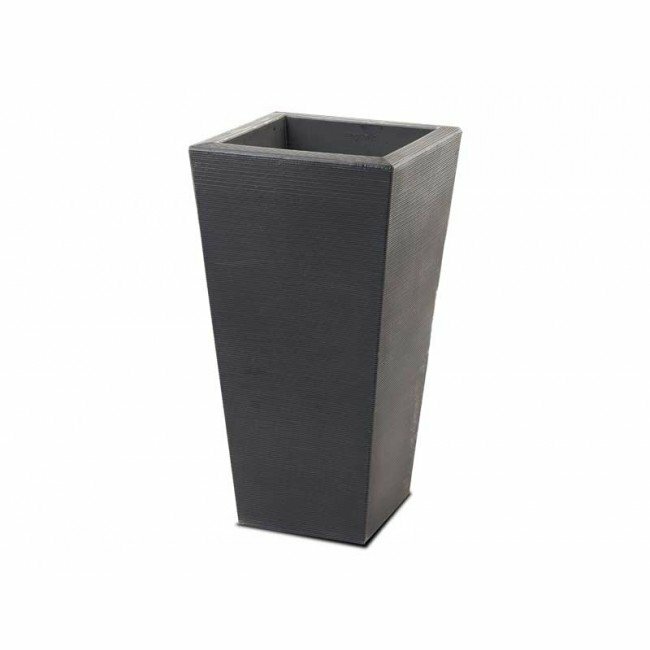 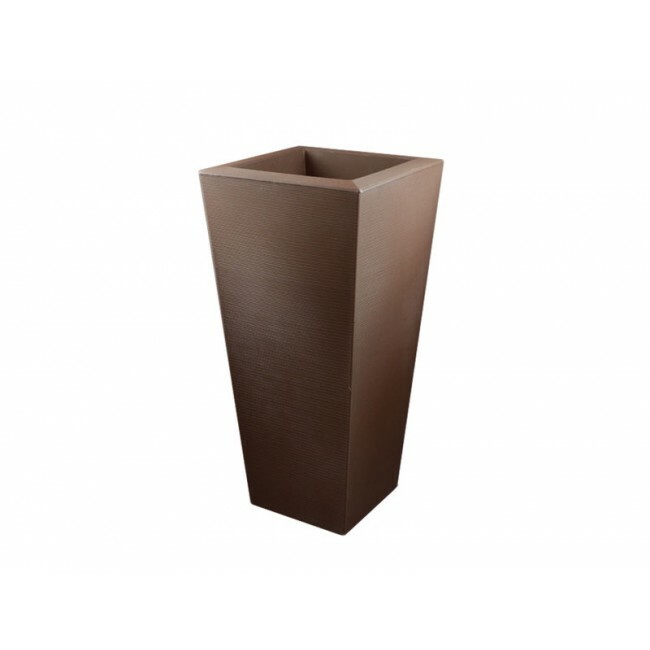 The top rim of this column planter pot is rolled deep to provide extra sturdiness. 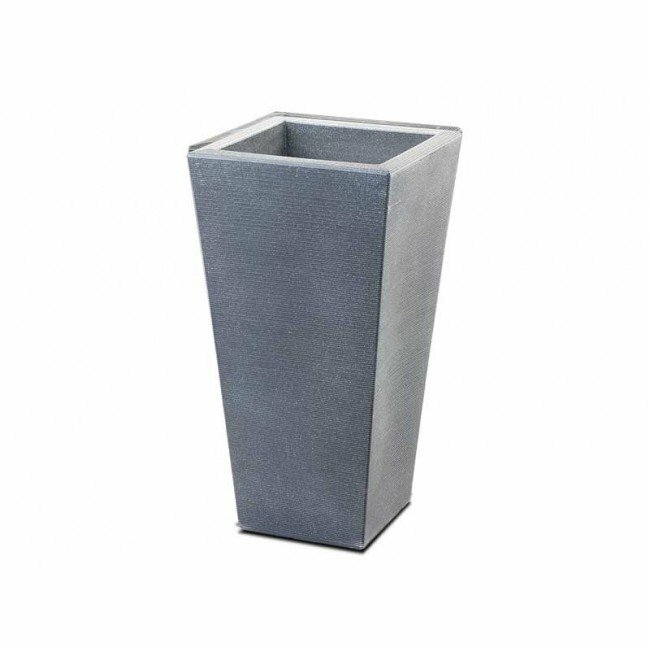 Its commercial grade polyethylene construction makes it not only lighter than a traditional stone planter but also weather resistant. Use the Bowery, part of our Urban Garden Accents Outdoor Collection, year round without fear of cracking in the winter or fading in the glare of summer.